Heritage El Dorado Hills unveils latest model collection. Heritage El Dorado Hills, already one of the largest active adult communities in the Sacramento Area, is growing a little bit bigger in the coming months with the addition of the Reflections Collection to the east side of this remarkable neighborhood. Homebuyers 55 and better have been flocking to the region for its high quality of life, breathtaking mountain views, and ease of access to interstates and a local airport. Lennar Homes just announced a new phase of construction at Heritage El Dorado Hills. The Reflections Collection will add 140 additional single-family homes to this popular active adult community. Five new and distinct floor plans will be available that range in size between 1,137 and 1,650 square feet. Most plans have two bedrooms while one has three. All floor plans are equipped with two full bathrooms and an attached two-car garage. These stylish new homes feature first-floor master suites and will come equipped with the latest stainless-steel appliances, carefully designed open plans with nine-foot ceilings, and energy-efficient lighting throughout. These, like the rest of the community, are low-maintenance homes with landscaping and exterior maintenance provided by the homeowners’ association. New residents will have access to the same resort-inspired amenities that current residents enjoy. 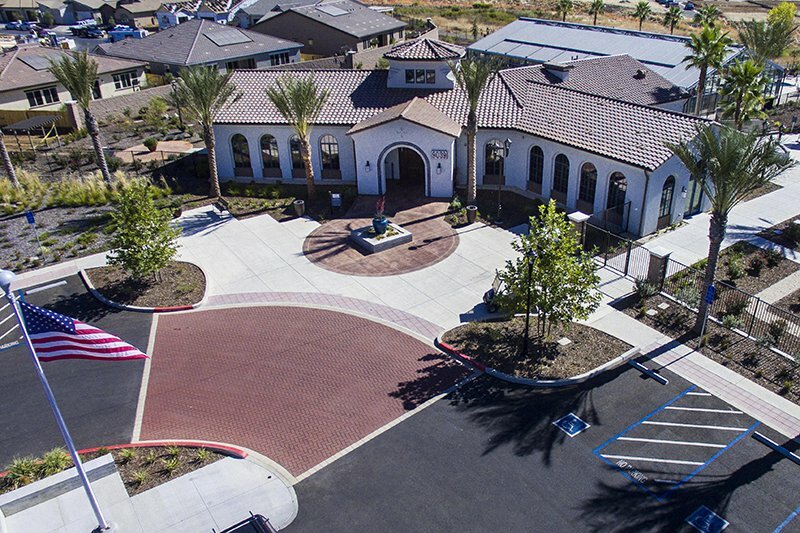 A 5,000 square-foot clubhouse anchors the community and is the site of a fitness center, multi-purpose and meeting rooms and a covered indoor/outdoor pool, patio, and BBQ area. Three tennis courts, four pickleball courts, four bocce courts, and a manicured lawn with walking paths give community members loads of opportunities to get out and enjoy the fair weather that El Dorado Hills is known for. All in all, there are 180 acres of preserved, open space that ensure the community is thoughtfully incorporated into its beautiful natural surroundings. Heritage El Dorado Hills is located in the town of El Dorado Hills, which is just over twenty miles to the east of Sacramento. A former gold rush town at an important crossroads, El Dorado Hills has become one of the fastest-growing cities in the region with homebuyers flocking to the area for its pristine, natural feel and overall ideal location. The community itself is located just three miles from the popular Town Center, which serves as El Dorado Hills’ downtown and central business district. There are shops, restaurants, grocery stores, parks with walking and biking trails, a cinema, medical offices, and so much more that make this such a desirable destination, whether you’re just running a few errands or heading out for a Friday night on the town. The Reflections Collection, much like the other three collections in Heritage El Dorado Hills, is sure to attract the attention of active adult homebuyers looking for a right-sized, low-maintenance home in the Sacramento Area with an ideal combination of location, climate, and amenities.